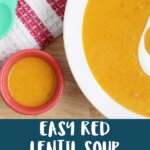 With plant-based protein and Vitamin C-rich veggies, this brightly flavored easy Red Lentil Soup is perfect for dinner…and to boost immunity with turmeric. And it’s a perfect texture and mild flavor for babies and toddlers. 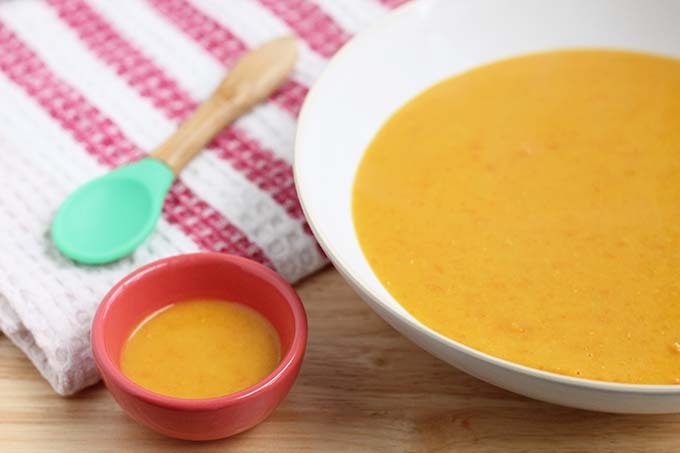 This golden soup is one of my very favorites to make and share with my family. It’s super comforting but also light and not too rich—which is such a nice combination in the colder months. 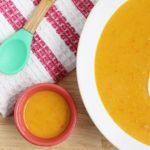 This is also a soup I always make to share when we have a baby in the house since it’s loaded with good-for-them ingredients and has a nice flavor to introduce to little ones. This soup also cooks fairly quickly after you get the chopping done, which makes it a good one for making when you don’t have a ton of time in the kitchen. 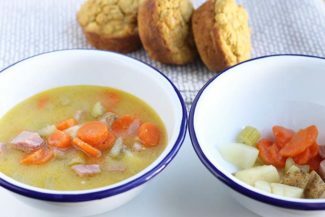 For this soup, you’ll need sweet potatoes, carrots, red lentils, turmeric, ginger (fresh or dried), broth and coconut milk. You can use vegetable or chicken stock, depending on what you prefer, and look for a reduced sodium option to keep that in check. 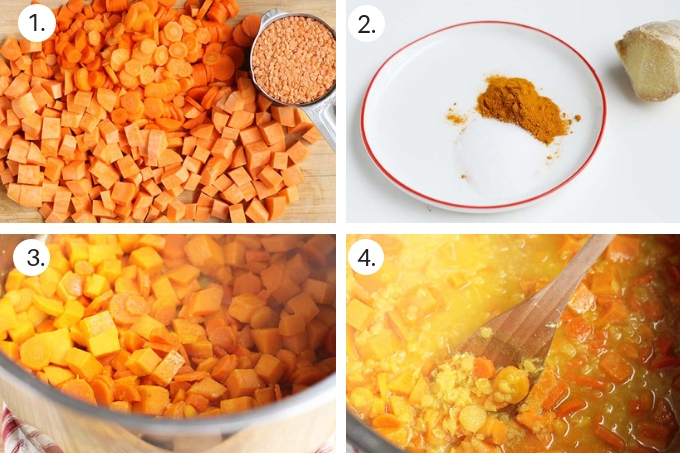 Here’s a look at the process of making this red lentil soup recipe. Heat a medium pot over medium heat and warm the oil. Add the sweet potatoes and carrots and stir. Cook, covered, for 10 minutes. Stir in the salt, turmeric, ginger, stock, and lentils. Bring to a boil, reduce to a simmer, and cover. Cook 10-15 minutes or until the lentils are soft and starting to break down. 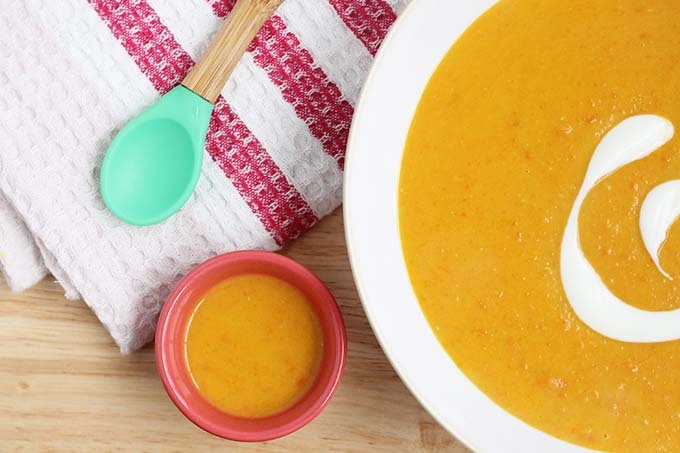 Stir in the coconut milk and puree smooth with an immersion blender or a regular blender. 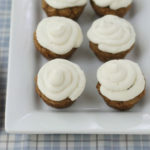 (You can also serve this chunky if you prefer!) Serve warm. 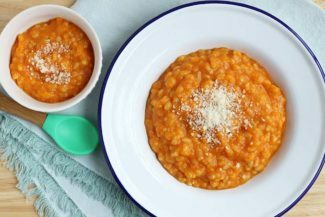 How can I store leftovers of this Red Lentil Soup? 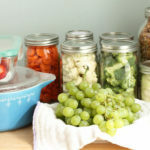 Simply let it cool slightly and store it in an airtight container for 3-5 days in the fridge or up to 3 months in the freezer. It will thicken as it stores and is cold, but will go back to soup consistency when you warm it up. What if I don’t have turmeric? You can simply leave it out! It is rumored to help boost immunity and it adds nice flavor, but you can omit it if you need to. And if you don’t have a blender or don’t want to blend it, you can serve this soup chunky too. One note when serving this to kids: Make sure you put a bib on them if you do include the turmeric! It can stain a lovely orange color so just avoid serving this meal if they’re wearing a favorite white shirt. 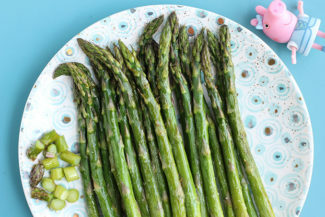 I’d love to hear your feedback if you make this recipe so please comment below! Serve small portions by the spoonful or in a reusable pouch to babies and toddlers. Stir in the coconut milk and puree smooth. 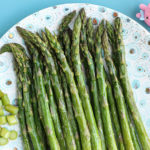 (You can also serve this chunky!) Serve warm. 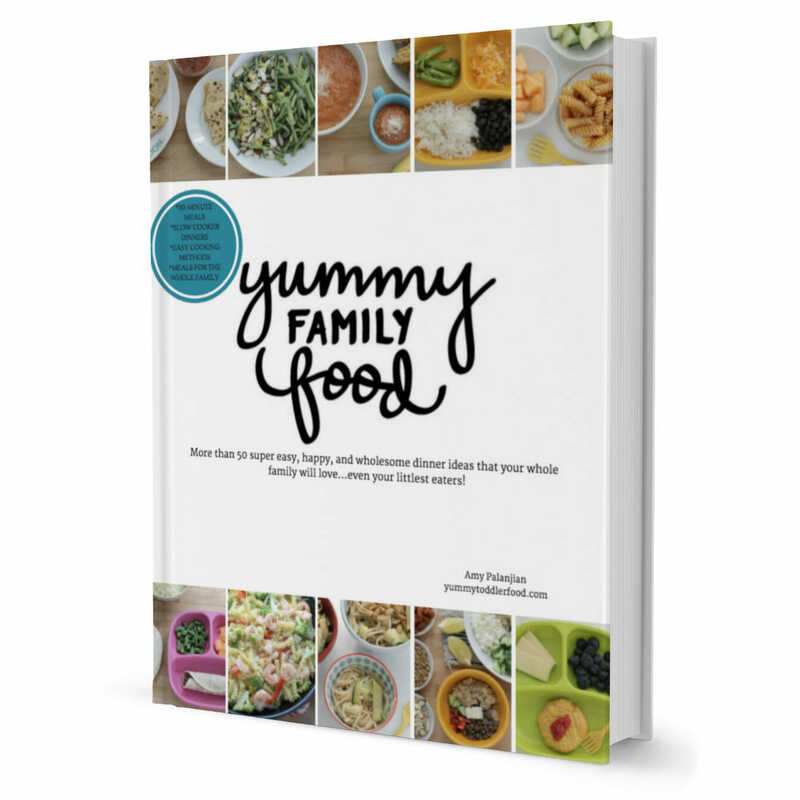 Rate this recipe in the comments below and tag @yummyfamilyfood on Instagram!